The legislative fiscal bureau says it will take at least 25 years for Wisconsin’s incentives package for the manufacturer to break even. 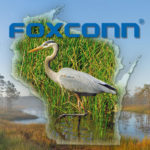 Officials announced last month that Foxconn plans to build a LCD display screen facility in the southeastern part of the state — the first of its kind in the country. The company says they’re looking for a 1,000 acre facility, and that their investment will total around 10 billion dollars. Governor Scott Walker called an executive session, which started this month, to pass an incentives package that would total 3 billion dollars to Foxconn over the next fifteen years. The state would break even by 2043, according to the fiscal bureau. That’s the year in which the total amount of tax collections the factory pays exceeds the amount of money the state has spent in grants and tax rebates to lure it here. But that’s only if Foxconn invests the 10 billion dollars and creates the 13,000 jobs it says it will. 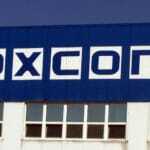 But the fiscal bureau and others say Foxconn could potentially create only around 3,000 jobs in total. In that case, the break even point would far surpass 25 years. The 25-year figure also assumes the entire workforce will come from Wisconsin. If Foxconn hires significant amounts of workers from Illinois — who pay income tax to Illinois — that will also delay the break even date. Democrats in the Assembly committee on jobs and the economy, which held a public hearing on the bill last week have amendments that they hope will address that concern, including one that would give priority to Wisconsin workers in the hiring process. Also in the bill — a tax credit for Brookfield financial services company Fiserv, which Peacock says has been threatening to cut jobs. The committee’s holding an executive session on the bill Thursday.